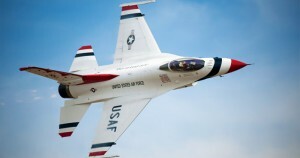 Get ready for an event of epic proportions as the California International Airshow (CIA), http://salinasairshow.com, comes to Salinas on September 27th and 28th starting off the fall season with a big roar! Established in 1981, this event has been showcasing aviation excellence for over 30 years, all while raising about $8 million for local charities! Its main purpose is not only intended to entertain those that come to watch, but also meant to create memories of community involvement through showcasing local business venues and volunteer groups. This event is packed full of surprises as it includes everything from fireworks, jet cars, monster trucks, and fire-breathing robots, to of course the top dogs of the sky. Entertainment from U.S. Air Force Thunderbirds, C-47 Normandy, Liberty Jump Team, Clay Lacy Lear Jet Aerobatics, Sean D. Tucker Oracle Challenger, the award-winning aerobatic pilot Melissa Pemberton, Vicky Benzing with Aerosports, World War II B-25 with Mitchell Bomber, Metal Mulisha with motocross experts, and of course the Monster Truck team including Kelvin Ramer’s “Time Flys” along with”Wild Flower” driven by Rosalee Ramer. With generous contributions from loyal sponsors and 12 months of planning, this event is sure to amaze all that attend. Doors open at 9:00 am, all ages are welcome, and parking tickets can be bought online. So what are you waiting for? 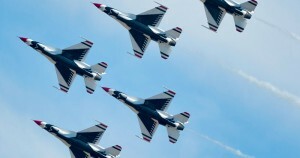 Come help support our troops all while watching them soar through the sky. 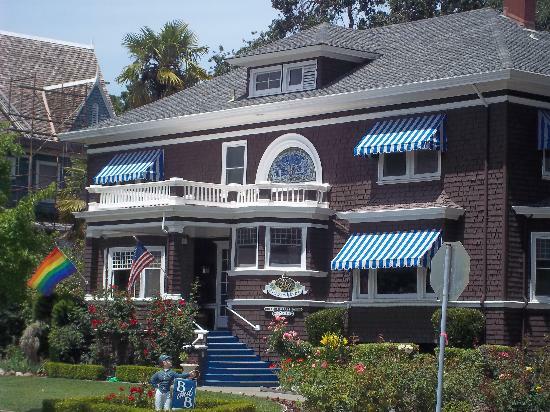 If you’re planning on attending both days, there are plenty of accommodations as well as transportation throughout the Salinas-Monterey Peninsula, but if you’re looking for some peace and quiet after an eventful day among crowds and fireworks, then Old Monterey Inn may be the escape you’re searching for. 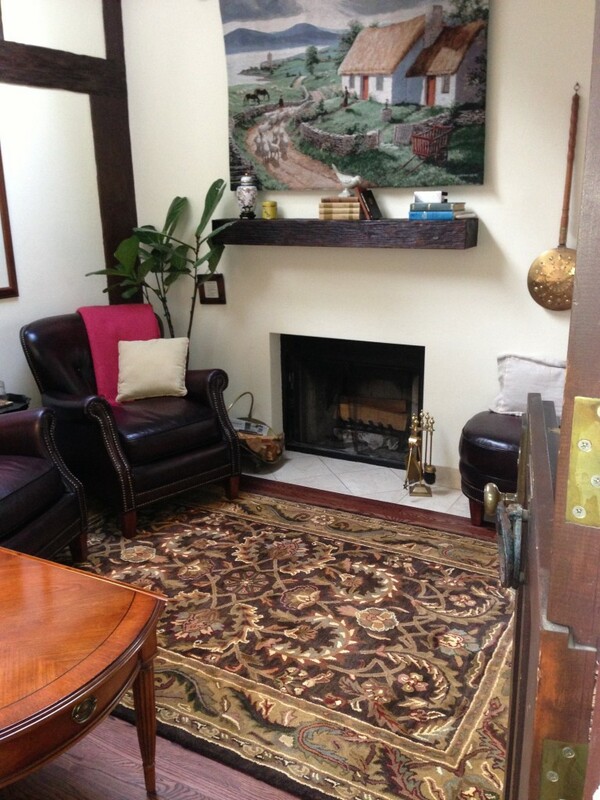 Tucked away on Martin Street in Downtown Monterey, centrally located to wonderful restaurants and tourist attractions. So make the most of your visit and don’t be shy to stop by! This earthquake, which affected the Napa region of our West Coast, thankfully did not result in any lives lost, however it did manage to wreak havoc in the beautiful Napa community. We feel for those whose lives and businesses were disrupted by the quake. We wish our friends and fellow innkeepers all the best, and we are confident that repairs will be made quickly. California is no stranger to earthquakes and is well prepared to respond to these natural disasters. Some hotels were severely damaged while others required only superficial repairs. Our friends at the Beasley House and Inn on Randolph (both had minor damage) never missed a beat, and even served breakfast on time; just hours after the quake! Earthquakes of this magnitude and scale are normally quite rare and typically isolated to a specific area. In Monterey we were unaware of the Napa earthquake until we heard about it on the news. As a native Californian, I grew up with quakes and am not overly bothered by them, while tornados on the other hand scare the heck out me! My wife grew up in the Midwest and does not seem to be concerned about tornados; go figure. 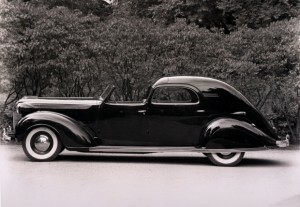 As Classic Car Week and the Concourse d’Elegance once again transform the Monterey Peninsula into the greatest car show on earth, we at the Old Monterey Inn are fortunate to be right in the mix of things! We feel extremely honored to play host to several very prominent guests who return to us year after year to enjoy our beautiful location and all that the week has to offer throughout the area. Our guests range from experts from the show “American Pickers” to classic race car drivers, some of which have been staying at the Old Monterey Inn for decades to enjoy the festivities! Breakfast is always an interesting time to listen to our knowledgeable guests chat about their daily activities. We hope for the best for our special guests during this years’ event! 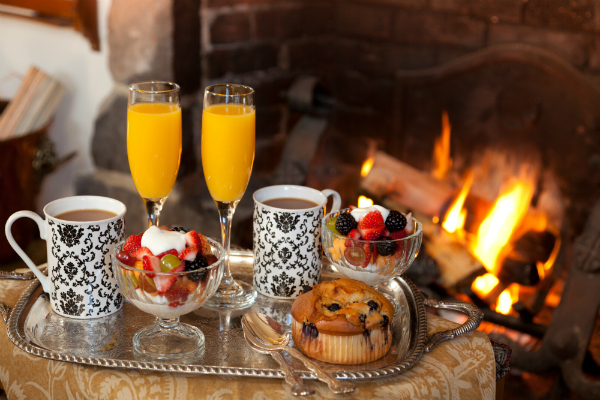 How is a Bed and Breakfast Different than a Hotel? We often hear the question, “What is a bed and breakfast, and how is it different than a normal hotel with a continental breakfast offering?” This is a question we are proud to answer because we are proud of what sets us apart at our bed and breakfast inn in Monterey. Well, to start, we put out fresh cookies at 2:00 P.M. each afternoon. Just two hours later, from 4:00 to 6:00 pm, we serve wine and hors d’oeuvres in our parlor—usually a Chardonnay and a Cabernet Sauvignon from a local Carmel Valley vineyard, and a selection of artisan cheeses. The following morning we serve a two-course, gourmet breakfast and you can either join other guests at our beautiful dining room table, or you can enjoy breakfast in your room on trays. Breakfast at our inn in Monterey is served at 9:00 and the guests that join us in the dining room have commented that it feels like Thanksgiving dinner—and perhaps even better than Thanksgiving dinner because we do the dishes! Rest assured you will receive warm hospitality from our staff and the opportunity to interact with guests from around the world. In fact, we’ve had guests from Switzerland, England, Australia, China, Spain, Brazil, Canada, and all regions of the United States just to name a few. Wherever you are from, we are so excited to welcome you to the Old Monterey Inn, and make you feel like you are at home in one of the finest romantic getaway spots! 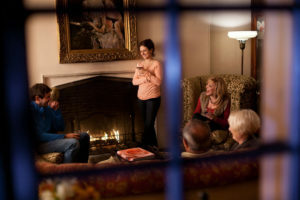 Our inn in Monterey provides a sense of camaraderie, and the opportunity to meet and chat with other guests. We’ve seen many wonderful friendships begin at our breakfast table: one couple was staying with us to celebrate their 10th wedding anniversary, and upon announcing this at the breakfast table, they were greeted with a warm serenade of “congratulations!” Later that evening, a couple from another room approached our Innkeeper, Catherine, with a bouquet of flowers and asked if she could put the flowers in the room of the 10th anniversary couple when they were at dinner. The note on the flowers said, “Congratulations on your 10th wedding anniversary—it’s something to be proud of, and we are so glad to have celebrated this event with you!” Cool! Apart from breakfast, what sets us apart? 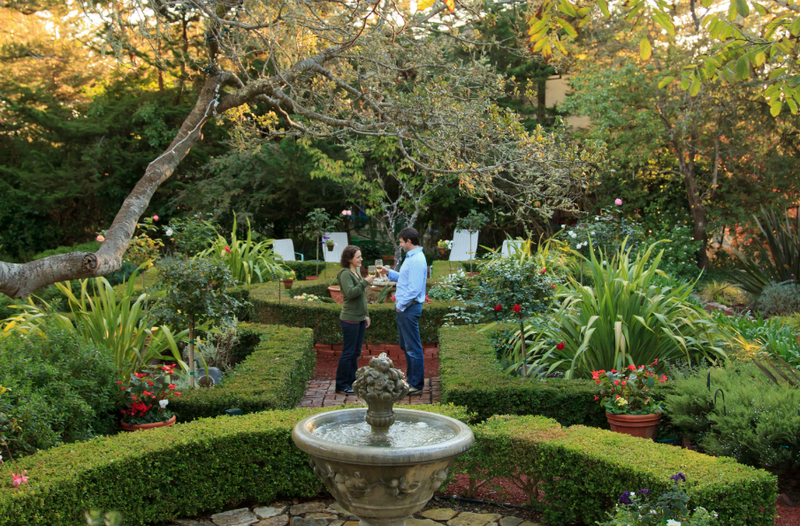 The property of our inn in Monterey embodies privacy and peace and quiet on more than an acre of lush gardens. The custom half-timbered English Tudor mansion remains true to its original form and beauty with all the 21st century conveniences added in, and a warm and welcoming ambiance that will make you feel like you’ve arrived at home! 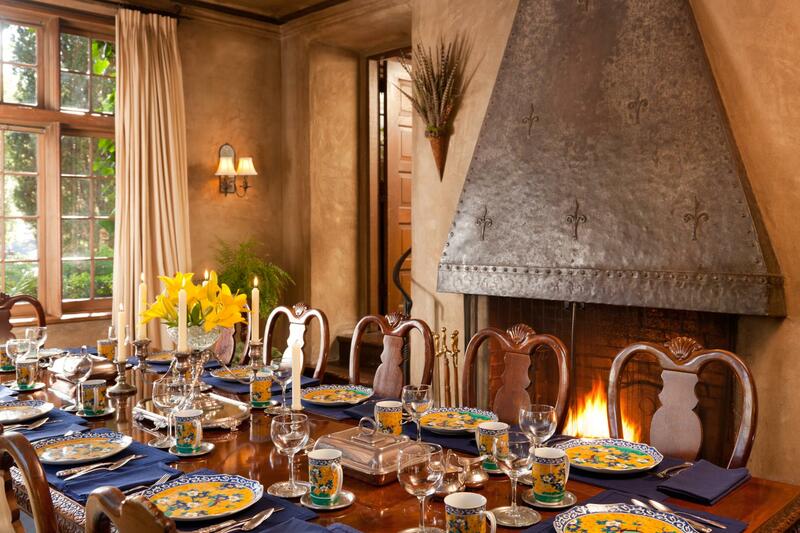 The Old Monterey Inn is enshrined in beauty, luxury, relaxation, and most importantly, kindness. We look forward to welcoming you to the Inn! Wintertime in Monterey might be everything you’ve ever dreamed of—without the snow! 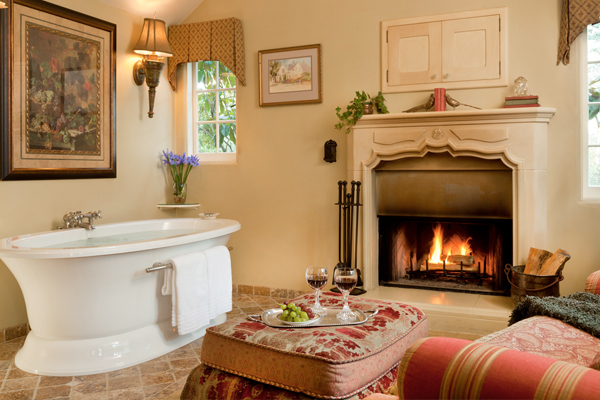 At our Monterey Bed and Breakfast you can enjoy fireside wine and hors d’oeuvres, a soak in the Jacuzzi tub, a relaxing couples massage in our on-site spa room, and a warm, delicious two-course gourmet breakfast in the morning. You’ll stay warm and cozy! A final wintertime event that we are excited about is the Dance Kids performance of the Nutcracker at the Sunset Center in neighboring Carmel. The stage is filled with over 150 pre-professional dancers, many of whom are already being scouted by dance academies in San Francisco and New York. This event is so popular, in fact, that tickets are likely to sell out. The show is on Friday, December 13, and Saturday, December 14. Visit http://www.sunsetcenter.org/e-dance_kids_presents_the_nutcracker_night_one_136.htm for more information and a few videos of Dance Kids’ past performances! Stay tuned for updates on more of our favorite happenings on the Monterey Peninsula. 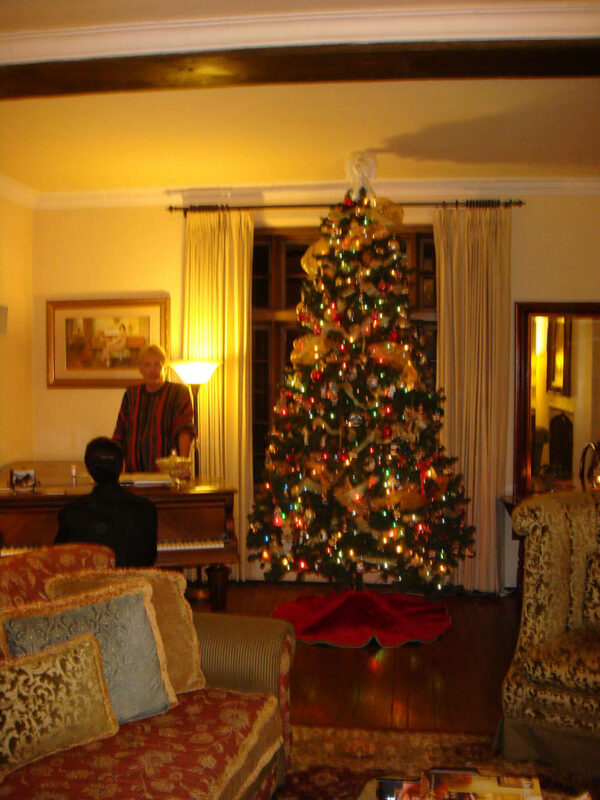 We look forward to welcoming you to our elegant, cozy, and romantic Monterey Inn and giving you lots of suggestions to help make your holiday season special! 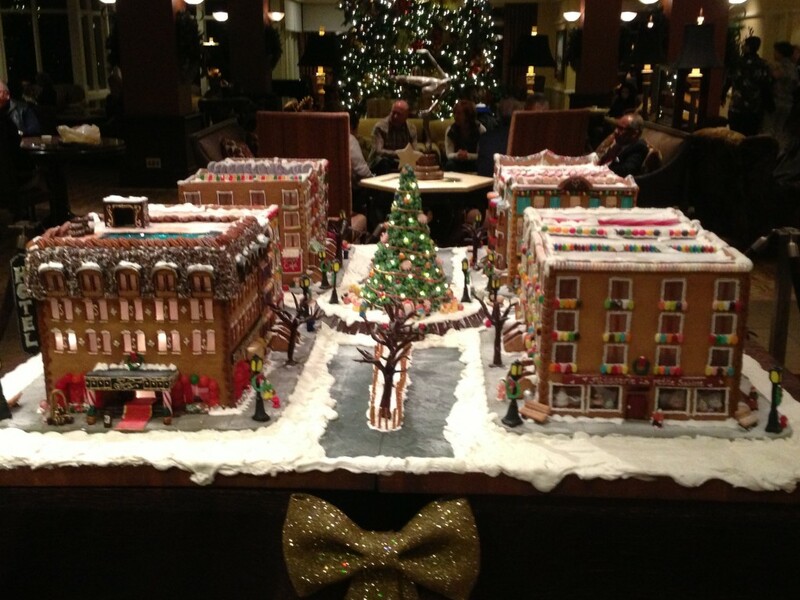 Grab your hot chocolate and join us by our Christmas tree! 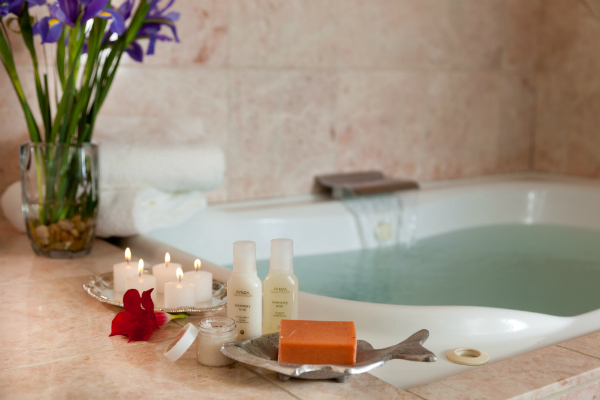 Indulge in the ultimate relaxation at our Monterey bed and breakfast. In November and December, the deal gets even sweeter! Through December 31st, we are offering a $50 discount per person on singles’ and couples’ massages in our on-site spa in Monterey. Book a two-night stay, let us know what date and time you’d like your massage, and we’ll make all of the arrangements for you! Our massage therapists are expertly trained, and we are sure that you will achieve new levels of release and relaxation at our bed and breakfast in Monterey! There are many different massage options: a traditional Swedish massage that applies light pressure and promises to relax you; a deep tissue/sports massage which uses more pressure than the Swedish massage and will release tight muscles and knots; an aromatherapy massage which will stimulate and relax you with various essential oils; a hot stone massage that uses heated black stones and iced ancient stones to create a soothing, nurturing, balanced massage experience; an exfoliating aromawrap massage which wraps you in a warm cocoon that nourishes and moisturizes your skin; and an aromafacial massage that cleans, firms, revitalizes and tones your face and treats your body to a relaxing Swedish massage. You’re sure to find exactly what you are looking for at our on-site spa! 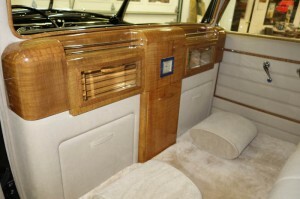 Check out the drop-down menu on our website! We are so excited to help you survive and even enjoy the winter this year with our cozy fireplaces, hot cocoa, and professional massages, all at our beautiful bed and breakfast in Monterey. 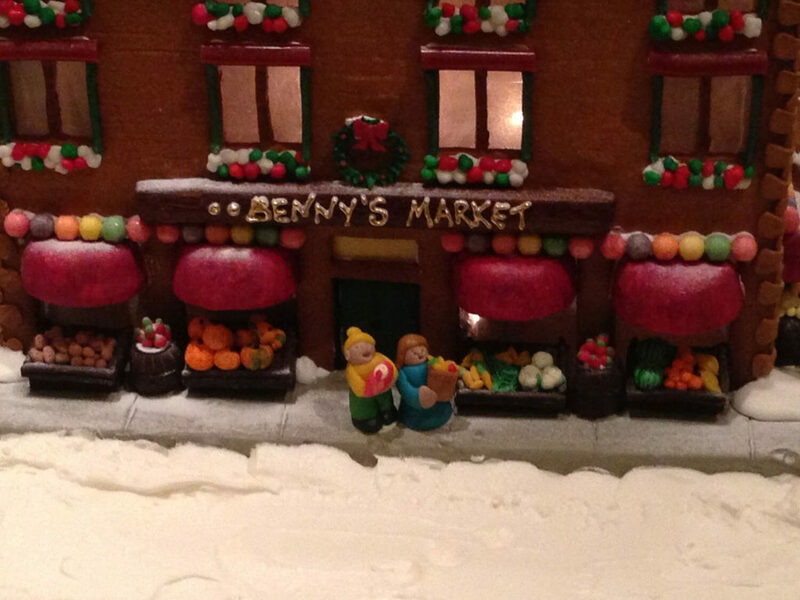 We look forward to seeing you soon, and stay warm in the meantime! After your massage, unwind with a drink in front of the fire in our Monterey bed and breakfast lobby. Walking up the steps to the front entrance of the Old Monterey Inn, you’ll feel as if you’ve stepped into a secret, secluded garden. In fact, there is beauty all around—flowers upon flowers, intertwining vines, succulents, and even straw flowers (ask to see them when you’re here because they’re delightful). Our rooms and suites are similarly spectacular-elegantly, tastefully, and individually appointed. Indeed, there is beauty all around. But, some of the things that make the Old Monterey Inn wonderful are not immediately visible. 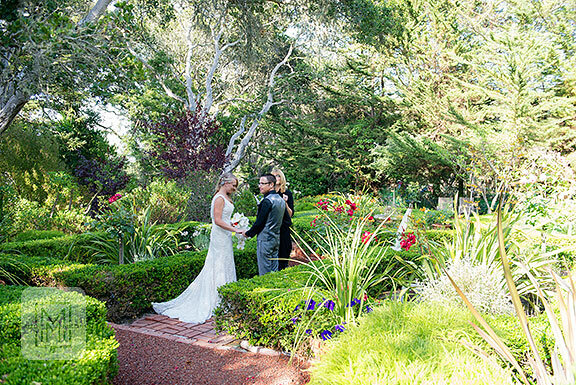 Ying Sun, the owner of the Inn, got married in the Inn’s traditional English-style hedge garden— the Old Monterey Inn is now the epitome of a beloved family-run business. During your stay at our Monterey bed and breakfast, you’ll see Lawrence buzzing about helping out where help is needed and making sure that the Inn runs smoothly. You may even see the two of them taking their dog Lucy for a walk in the evening. At the Old Monterey Inn, it’s all hands on deck all the time. They are accompanied by a similarly dedicated staff. Aracely, the head housekeeper, has worked at the Inn for over 20 years, and has an unbelievable encyclopedic knowledge about all of the tiny little histories of the Old Monterey Inn. She expertly manages her staff to make sure every detail is perfect for your stay. She’s got a wicked sense of humor, and an astonishing eye for detail and quality. She is such an asset to the Old Monterey Inn. The Innkeeper, Catherine, is a native of Denver, Colorado and moved to Monterey last year to get a Masters of Public Administration at the Monterey Institute of International Studies. 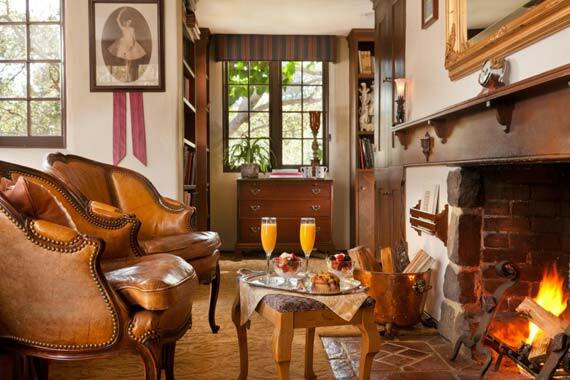 After working and studying abroad, she stumbled upon the Old Monterey Inn when she was visiting Monterey months before the move, and was entranced by the warmth and beauty of the place. She takes on much of the cooking and check-ins and is excited to make your stay perfect. She is fluent in Spanish and highly proficient in Mandarin Chinese. So, there you have it! Our staff is yet another reason your stay at the Old Monterey Inn will be a truly memorable and enjoyable experience! We are proud to be a family-owned business, and proud that our staff at our Monterey bed and breakfast is so dedicated to excellence. Ying Sun bought the Old Monterey Inn in June 2011 and have been improving upon their Inn’s grandeur ever since. We’d like to share some of the Inn’s improvements with you, and invite you to come enjoy our Monterey Inn in person! As spring approaches, our acre of gardens erupts into color and thrives underLawrence’s green thumb and creative genius. We’ve planted hydrangeas, lilacs, roses, rose trees, giant impatiens, camellia, night-blooming jasmine, delphinium, foxglove, and morning glory, just to name a few. This time of year, the early morning is steeped in fog, shrouding the garden in tranquility and wonder. The fog lifts in the mid-morning to reveal our Monterey gardens in all of their glory! This year we put hardwood floors in the sitting room of our Garden Cottage. Along with a fresh coat of paint and new furniture, the Garden Cottage looks wonderful after its full-body makeover! You’ll feel like you’ve stepped into an elegant and cozy English cottage, and your view of the gardens right outside the bedroom window will really take your breath away! Certainly less glamorous than camellia, but important and noticeable all the same, many rooms have received a fresh coat of paint. Mayfield’s warm yellow, Ashford’s crisp ivory, and Brighstone’s warmer earth tones are all radiant in their freshness. Our painters painstakingly painted between each shutter and around each doorframe, and their care and artistry is a constant source of pride for us. Stoneleigh, Chawton, Mayfield, Rookery, and Ashford sitting room have all received new bedding. Walk into Chawton, and the handmade, tailor-made bedding will give you pause. If you’ve stayed in one of these rooms over two years ago, come back and enjoy the improvements with us! For the eco-conscious among us, here’s one for you: we replaced every toilet with a state-of-the-art, designer low flush toilet. We are going green in style at the Old Monterey Inn! The list goes on, and will continue to grow in length. 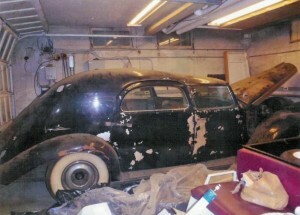 With each passing month, a new treasure finds its way to the Old Monterey Inn. Find your way here to enjoy all that the Old Monterey Inn has to offer.